WARRANTY FORM IMPORTANT! Please do not make any adjustments until Tribus approves your warranty request. Tribus has developed a a wheelchair conversion for the new VW E-Crafter. 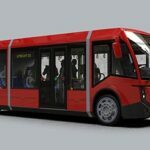 The 100% electric wheelchair minibus will be available as a 8+1 with a lowered front entrance, TriflexAIR foldings seats and a wheelchair lift at the rear. 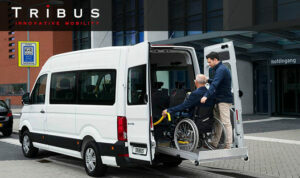 Information request formTribus is developing a Volkswagen E-Crafter wheelchair minibus. 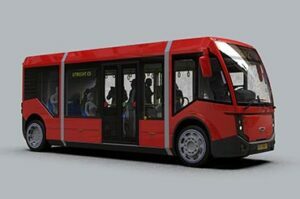 Woud you like be informed about the progress of this project? Please fill out the form below. My ProfileREPORT A CHANGEIf your contact details or billing details as stated on our offer are not correct, we ask you to inform us as soon as possible using the form below. For other questions or other changes, you can always contact us. Report a changeIf your contact details or billing details as stated on our offer are not correct, we ask you to inform us as soon as possible using the form below. For other questions or other changes, you can always contact us. Thank you very much for your help.